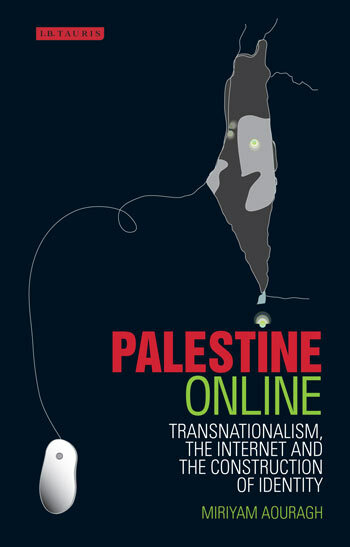 Author(s) / Editor(s): Jackline Wahba (Author), Mustafa Khawaja (Author), Mohammad Omari (Author), Ibrahim Saif (Author), Thoraya El-Rayyes (Author), Jad Chaaban (Author), Samir Aita (Author), Philippe Fargues (Editor), Iván Martín (Editor). 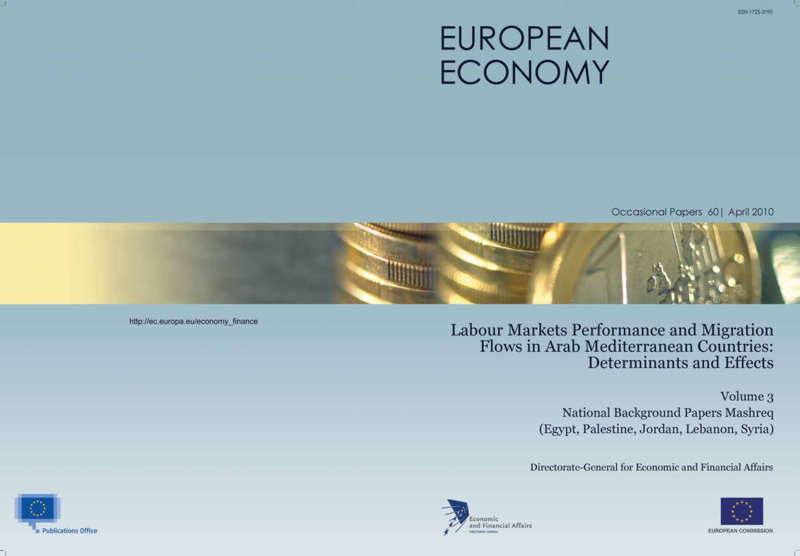 to propose a series of specific recommendations to improve the design of EU’s migration policies towards AMCs and policy options available to them for the management of mismatches between labour supply and demand. Description: This book consists of excerpts from the diary of former Israeli Primer minister (1954-55 and Foreign minister (1948-56) Moshe Sharett, letters and other documents, narrarated by the late Livia Rokach. Some excerpts about the content of the book below. Sharett paraphrases chief of staff Moshe Dayan, as saying that Israel’s method to aquire more territory vis a vis its Arab neighbors would be one of “provocation-and-revenge.” When the Arab countries responded militarily to these provocations, the Israeli government would claim that they were unprovoked acts of aggression against poor little Jews. The Israeli public would be stimulated into a righteous frenzy of “revenge” to support Israeli “retalitaion” which would develop into such a military conflict where Israel could achieve its imperial goals. Sharett paraphrased Dayan as saying that Israel must see violence “as the main… instrument…Towards this end it may, no-it must-invent dangers….” Sharett goes on to quote Dayan expressing hope for war with the Arab countries so that Israel may acquire its lebensraum. He adds that David Ben Gurion once said that it would be worth a million pounds to pay an Arab to start a war. The “Lavon affair.” From July 2 to July 27 1954, 10 Egyptian Jews under the command of Israeli agents bombed British and American cultural and information centers and cinemas and Egyptian public buildings. This campaign ended when one of its participants was caught after a bomb exploded in his pocket in Alexandria. Sharett did not know about these atrocities until after they were completed. The goals of these atrocities were described by Colonel Benjamin Givli head of military intelligence to an agent being dispatched to Egypt as to break up the friendly relations between the West and Egypt and to destablise Nasser’s Regime. In January 1955 Rokach quotes several excerpts from Sharett’s diary of indirect contacts with the Nasser government in Egypt pressing for direct negotiations on peace. However this was shattered on February 28 1955 when Israel attacked the Gaza strip killing 39 people. Israel tried to say that this attack occured after an Egyptian military unit had infiltrated into Israel and attacked public transportations and attacked on Israeli military outpost. However Sharett lamented “how crushing” the evidence was refuting Israel’s official version. He asked who would be foolish enough to believe upon seeing the huge amounts of explosives used, the blocking and mining of roads and the precise coordination of the attack, that it had developed from a sudden confrontation with an Egyptian military unit. Israel engaged in irrigation on Arab lands in the Demilitirized zones between it and its neighbors and attacked fishing boats in Lake Tiberias. Sharett was told by the UN observers about this and inquired of the head of the Water Works department who confirmed that it was all true. He lamented that he had denied this publicly and been made to appear as a liar in front of the whole world. Other interesting tidbits include some of the activities of Ariel Sharon. His most famous atrocity during this period was the massacre of 69 civilians in the Jordanian village of Qibya in October 1953 as commander of the infamous Unit 101. Nobody from Qibya had had anything to do with the killing of two Israelis earlier. Ben Gurion had tried to say that the act was carried out by refugees from Nazism living on the border with Jordan and had no Israeli army involvement but that is now known, of course, to be a lie. 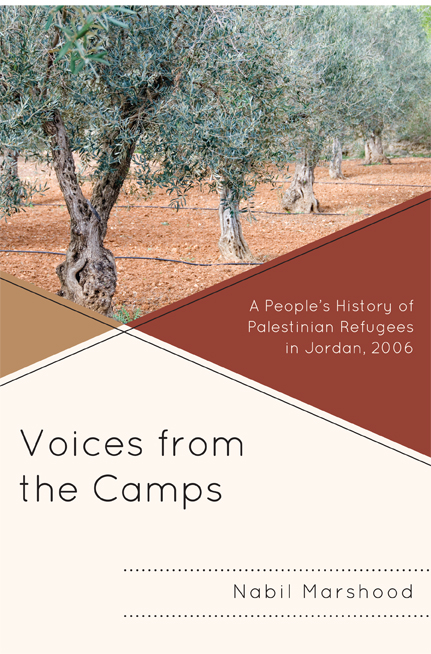 The Qibya massacre is discussed in some detail in the endnotes to the book, including examining Sharon’s later dubious rationales. Then there was the Unit 101 attack on the Al-Burj refugee camp in Gaza killing about twenty defenseless people; this is described in an appendix to the book by one of the attackers. 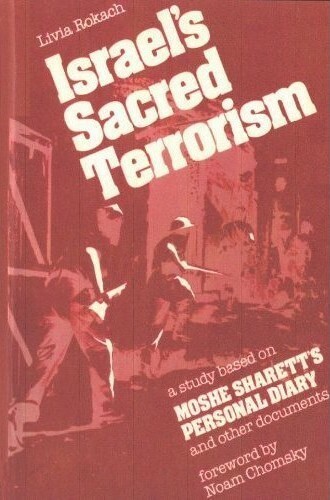 Sharett declared in his diary that the Qibya affair had portrayed Israel to the whole world as a bunch of blood sucking mass murderers. Then there was the incident where two Israelis were killed after they had hiked onto Jordanian soil. The Jordanian authorities arrested the murderers but one of the victim’s brother had apparently led four members of his army reservist unit into Jordan and killed 5 innocent Bedouins at random. Sharett reported in his diary that Sharon had organized this expedition and it seems to have been approved by Dayan. Useful insights are provided into Israel’s plans to destabilize Lebanon back in the early 50’s when its border with that country was completely peaceful. Sharett quotes Dayan as saying that Israel needed a Christian military officer to declare a Christian state in Lebanon that would cede South Lebanon from the Litani River soutward to Israel. It is noted that Israel has always been grasping out the bountiful waterways of South Lebanon. An exchange of letters between Ben Gurion and Sharett from March 1954 is posted in this book where Sharett declares that he would be willing to support Lebanon’s destablization; but he worried about the lack of separatist agitation by the Christians which would make the plan unfeasible at that time. 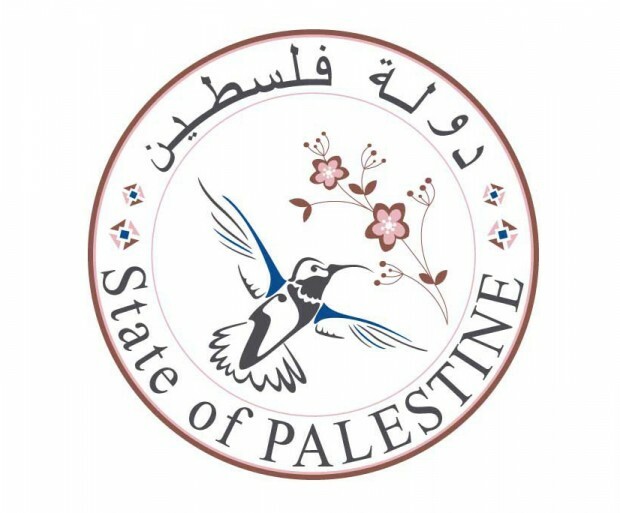 The comparison is made between these plans and Israel’s later policies like the setting up of a “state” in South Lebanon under the mercenary Major Sa’ad Haddad. 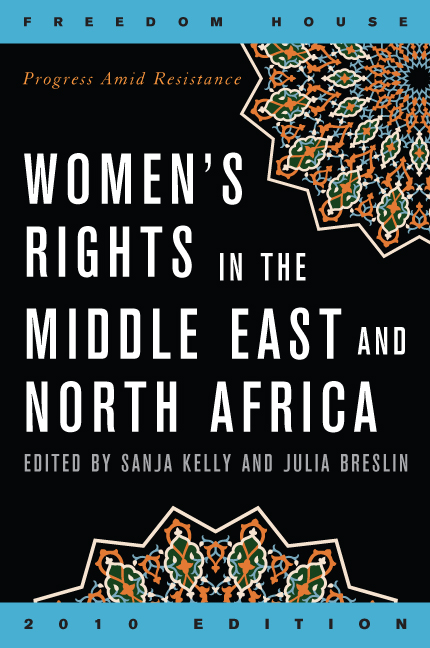 Description: Freedom House’s innovative publication Women’s Rights in the Middle East and North Africa: Progress Amid Resistance analyzes the status of women in the region, with a special focus on the gains and setbacks for women’s rights since the first edition was released in 2005. The study presents a comparative evaluation of conditions for women in seventeen countries and one territory: Algeria, Bahrain, Egypt, Iran, Iraq, Jordan, Kuwait, Lebanon, Libya, Morocco, Oman, Palestine (Palestinian Authority and Israeli-Occupied Territories), Qatar, Saudi Arabia, Syria, Tunisia, United Arab Emirates, and Yemen. The publication identifies the causes and consequences of gender inequality in the Middle East, and provides concrete recommendations for national and international policymakers and implementers. Women’s rights in each country are assessed in five key areas: (1) Nondiscrimination and Access to Justice; (2) Autonomy, Security, and Freedom of the Person; (3) Economic Rights and Equal Opportunity; (4) Political Rights and Civic Voice; and (5) Social and Cultural Rights. the methodology is based on the Universal Declaration of Human Rights, and the study results are presented through as set of numerical scores and analytical narrative reports.